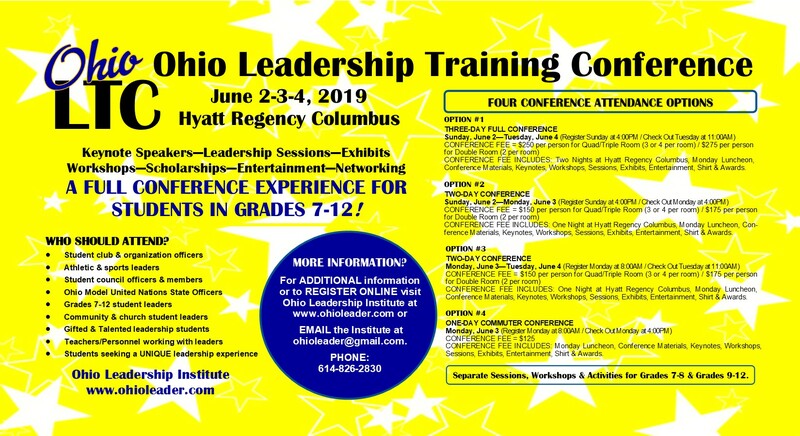 Leadership Opportunities for Ohio’s Youth! OhioLTC - NEW THIS SUMMER - June 2-4. QUESTIONS? - E-MAIL ohioleader@gmail.com or call 1-614-826-2830. OMUN New Advisor Workshop - May 3, 2019 at Hyatt Regency Columbus. E-MAIL ohioleader@gmail.com for MORE INFO!